Ivor was just 27 years old when he lost his life participating in the sport he loved, He joined Cradley in 1964 as a novice but Team Manager Ted Flanaghan soon noticed that this young Welsh lad from Berriew was one to be watched. He continued to climb throughout 1965 ending with an average of just over 3 points per match. In 1966 Ivor made a breakthrough, he invested in a new ESO machine and progress was rapid, on 21st May he top scored for the Heathens with 11 points and challenged Barry Briggs for the Silver Sash. 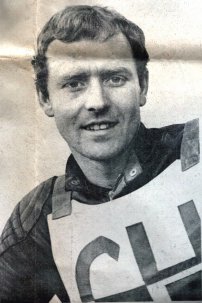 On 30th July Ivor scored his first maximum 12 points - 4 rides and inflicting the only defeat on Colin Pratt that night. 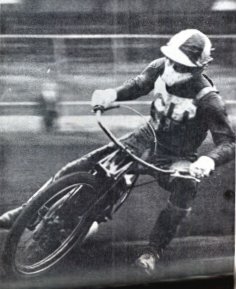 In an International meeting at Dudley Wood against Swedish club Vagarna on 10th August he scored 10 points from 4 rides but went on to beat World Champion Bjorn Knudsson in the scratch race final. We can only speculate and guess what the 'Welsh Wizard' could have eventually achieved in Heathens colours. One thing is for sure though. "I will ride my heart out for Cradley" was Ivor's promise, and that is certainly what he did. 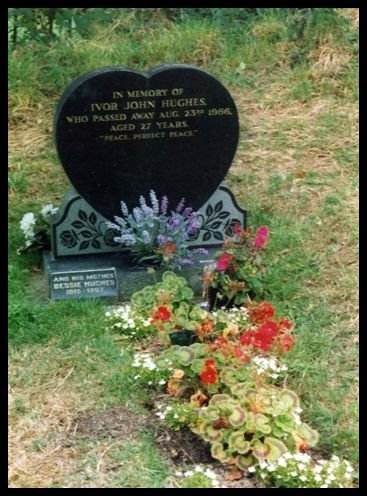 When Ivor passed away a trust fund was set up. Half the money would go to the Guest Hospital in Dudley which purchased a bed for the Princess Mary Ward, the other half would go to his family. For the meeting against Wolves on 17th September 1966 all riders and staff gave their services free. In 1967 a Remembrance Meeting failed after two attempts, first on September 11th then again on the 25th the trophy was awarded to Ken Wakefield. It was awarded to Chris Hawkins in 1968 and Ralf Waller for 'Best Novice', in 1971. Dave Perks won the Trophy in 1972 with 15 points. In 1977 it was awarded to John Hack as most promising rider of the year.